When did wewe like him more? If The Master suddenly appeared and asked wewe to become his companion would wewe go with him? Did wewe pick up on the fact that the Master was offering jelly baby's the same as the 4th Doctor did? 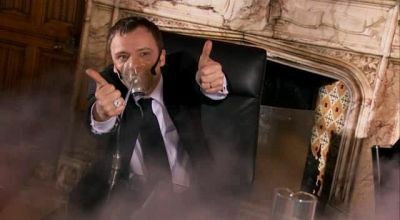 Did wewe like John Simm as the Master? I uploaded a karatasi la kupamba ukuta only to have it put in the picha section and yes, I checked off the word wallpaper! So why will it not let me put it in the karatasi la kupamba ukuta section? a comment was made to the poll: Blonde au Brunette? a comment was made to the poll: Did wewe like John Simm as the Master? a comment was made to the poll: If The Master suddenly appeared and asked wewe to become his companion would wewe go with him?